Partnering Clarity and its members with the Chester Group's flagship UK show is yet another logical step towards making NAS the most reputable, accessible and neutral show in the country. Both organisations agree that creating a true 'show' that appeals not only to you, our valued customers, but also the broader audience so essential if we are to continue to spread the word and share our collective passions for great sound. Roy Bird, Honorary Chairman of Chester Group Exhibitions, said: The National Audio Show, grows in credibility and last year it enjoyed one of its most-successful events to date, and we are 100% focussed on delivering again. 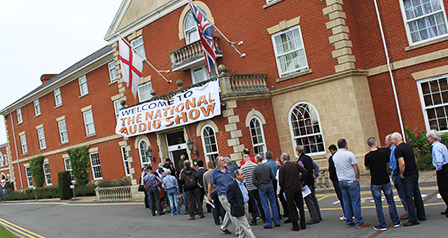 As an exclusive offer running for the weekend of the National Audio Show, The Clarity Alliance is offering a 20% discount on membership for any company or individual who joins at the show.